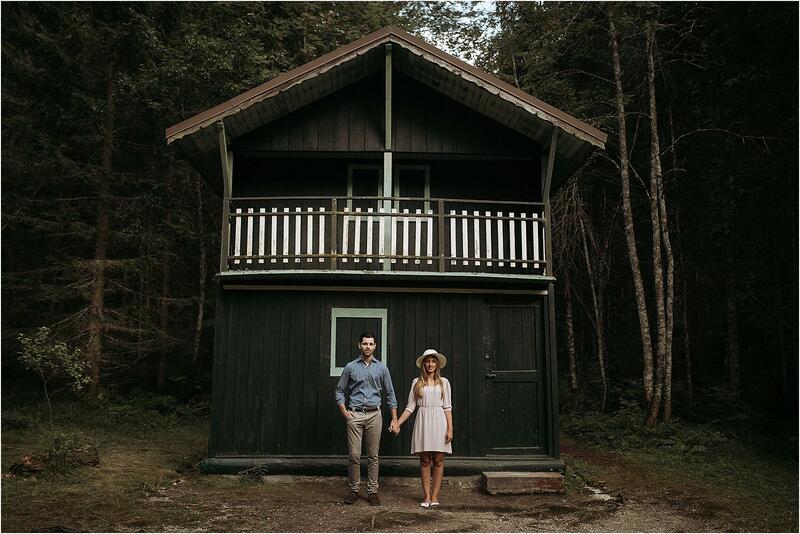 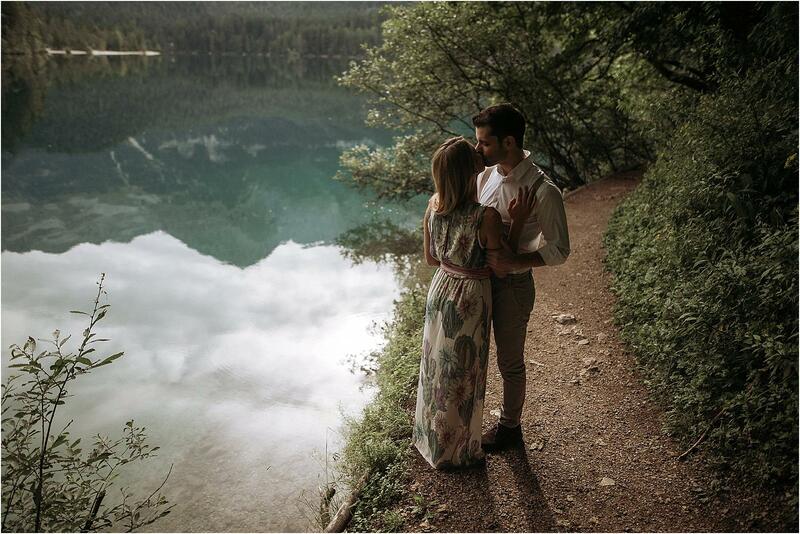 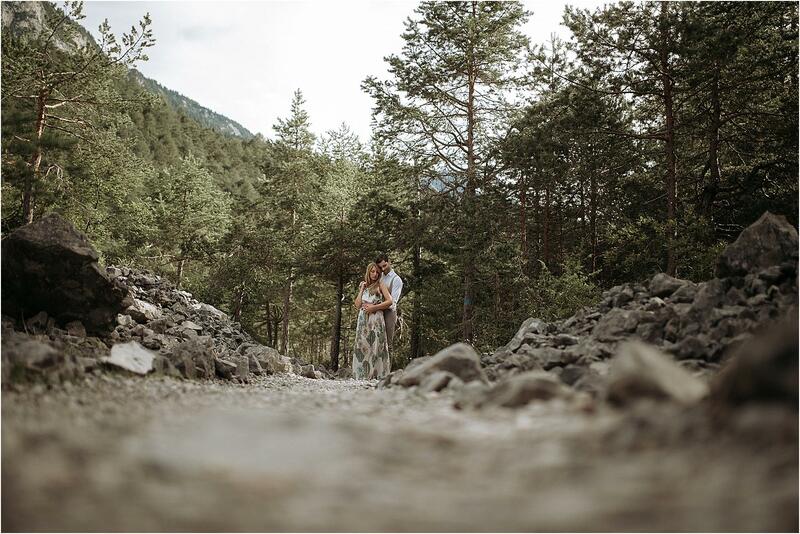 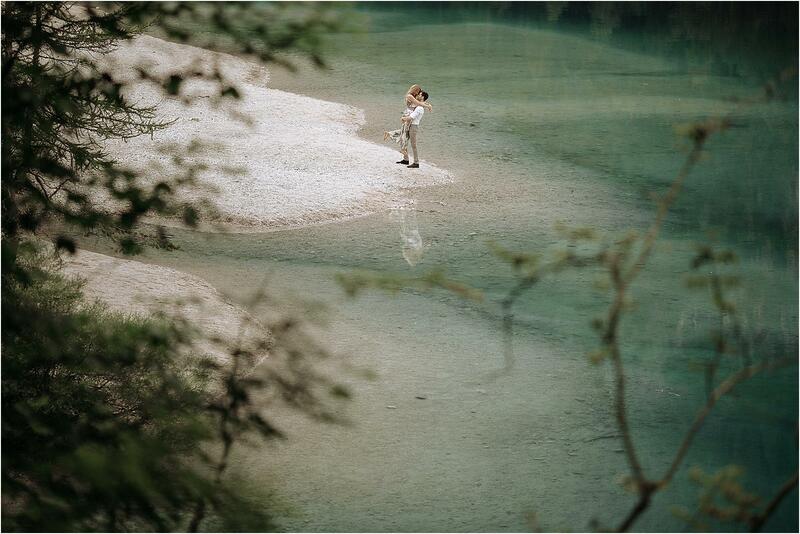 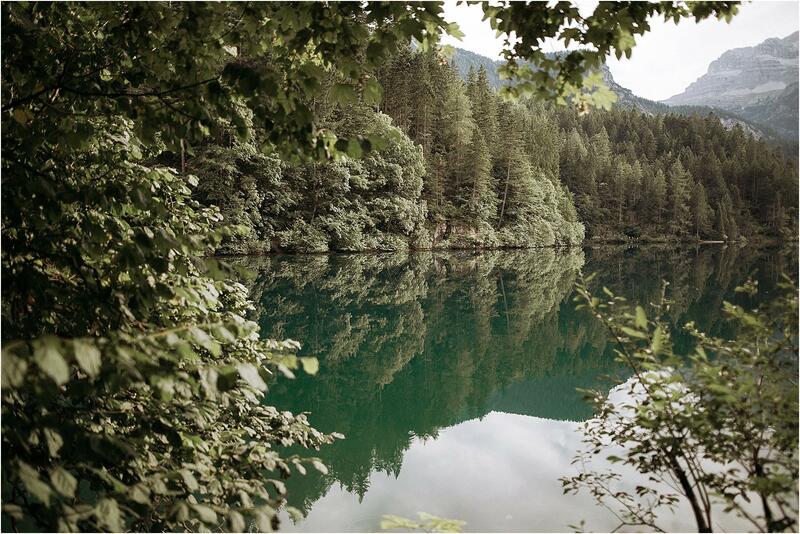 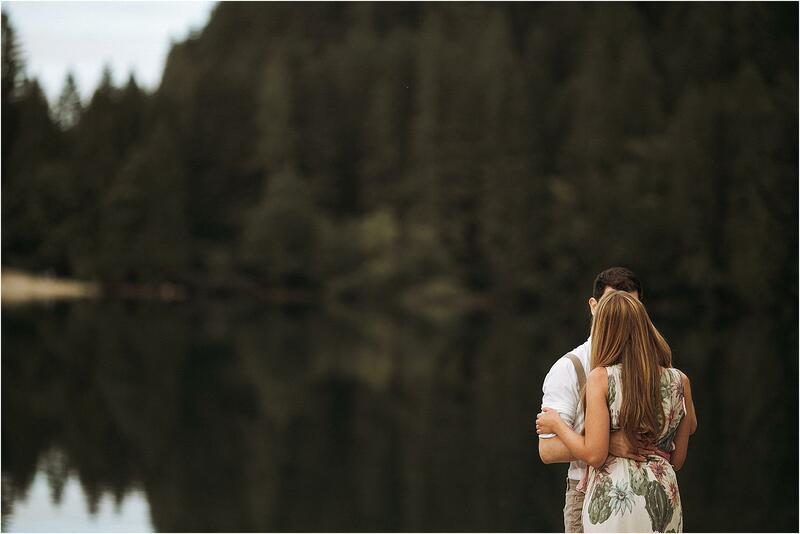 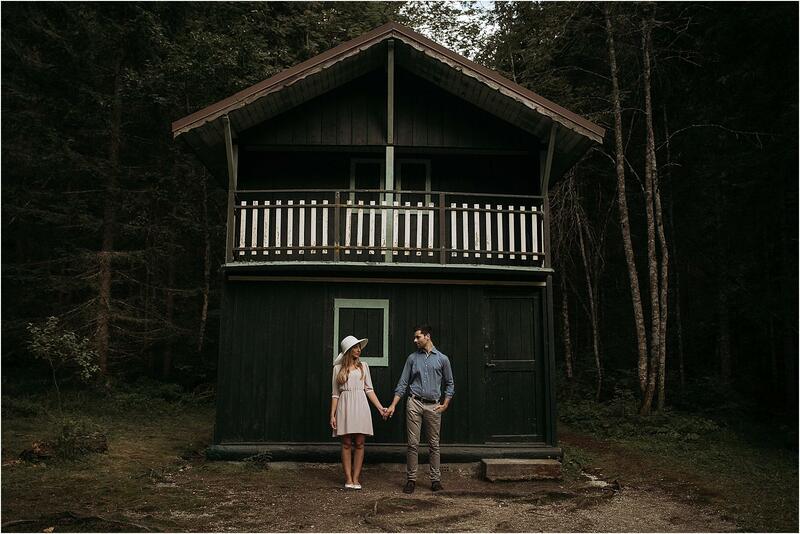 It must be unusual for a destination wedding photographer, being for a time on the other side of the lens; the male protagonist of this engagement service, realized on Lake Tovel in Trentino, as well as a friend is also a talented colleague: Lorenzo Poli. 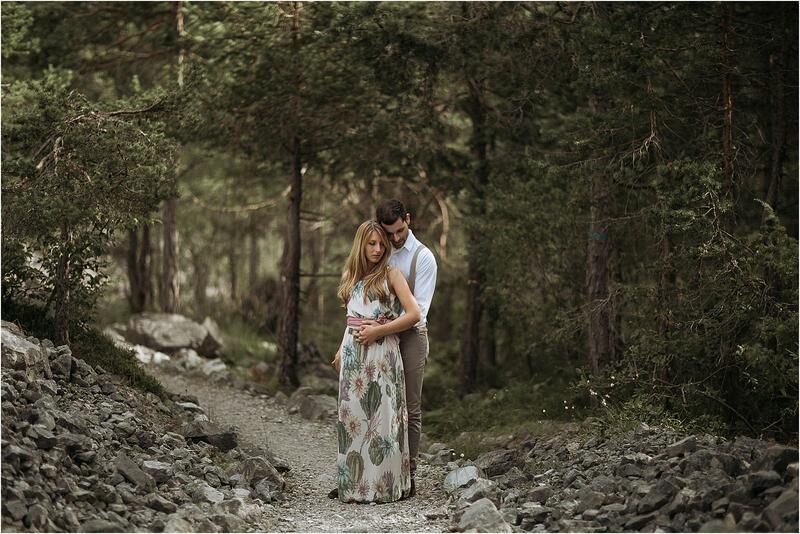 Lorenzo and Michela are a fantastic couple, funny and extremely well together. 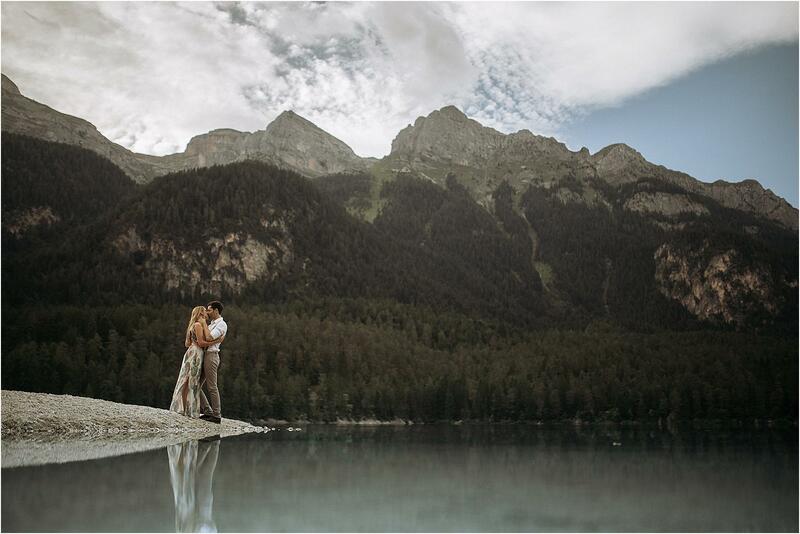 It was a real pleasure to spend an afternoon with them in this wonderful location, where the alpine landscape is reflected in the turquoise waters of a small lake, surrounded by woods and snowy mountains. 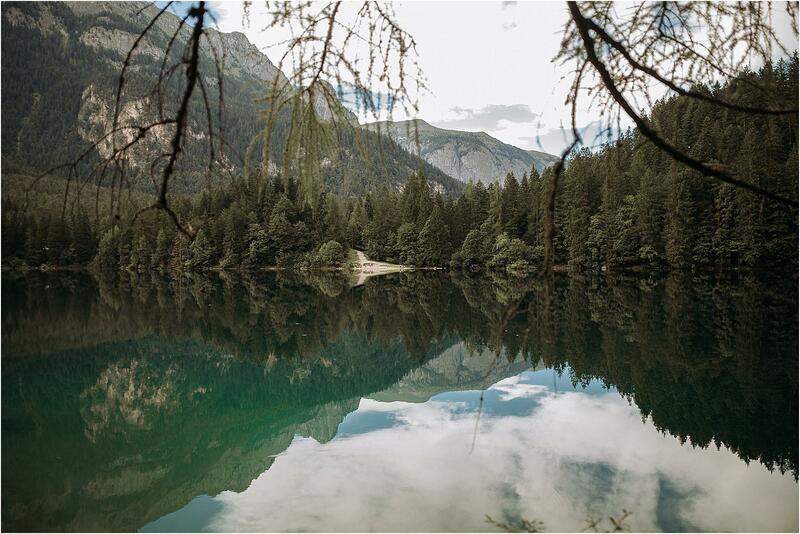 Trentino is a perfect place for shooting natural photos: it offers breathtaking views and its landscapes never cease to amaze. 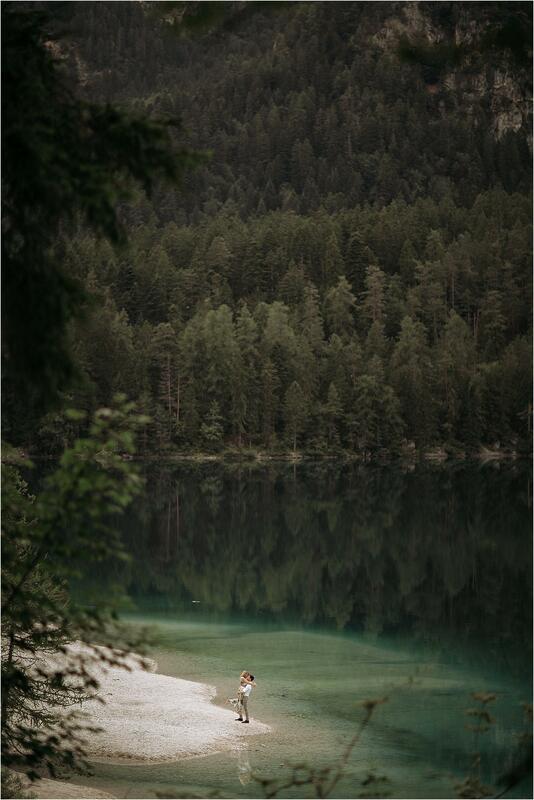 Just a few kilometers are enough to make an extraordinary journey through different scenarios, climates, ever-changing environments. 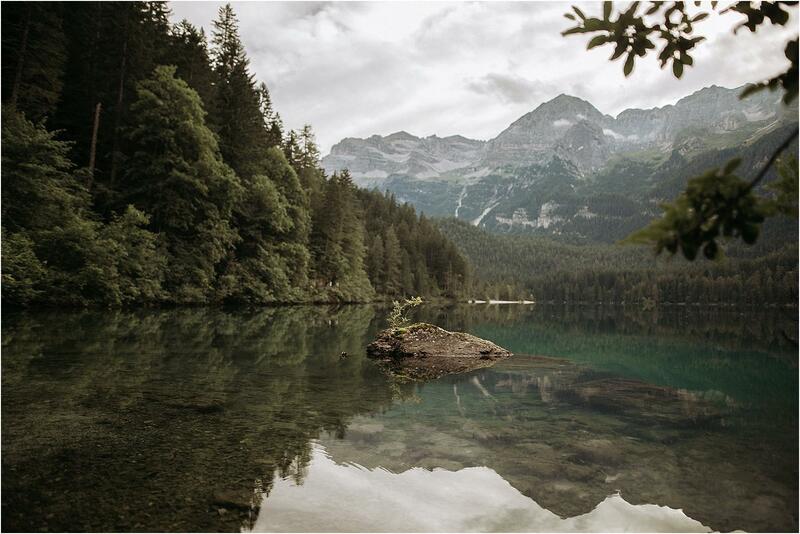 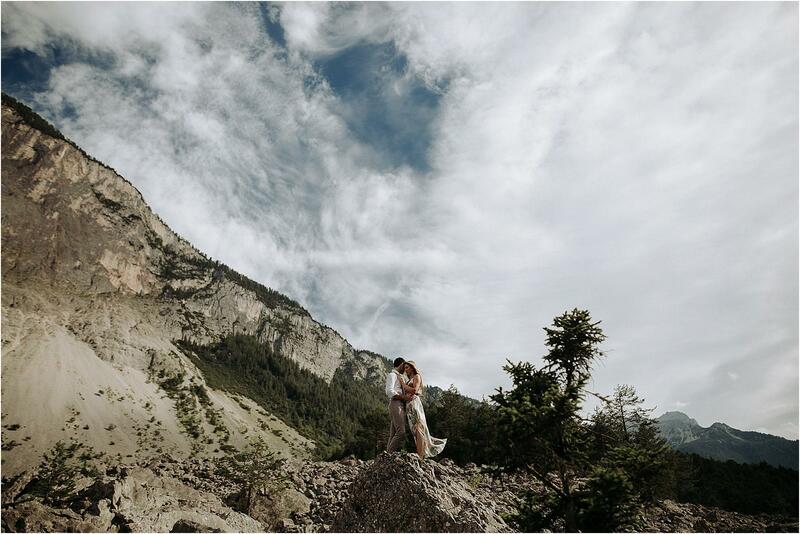 If you are planning a wedding in Italy, you should really consider the mountains of Trentino, as a possible destination. 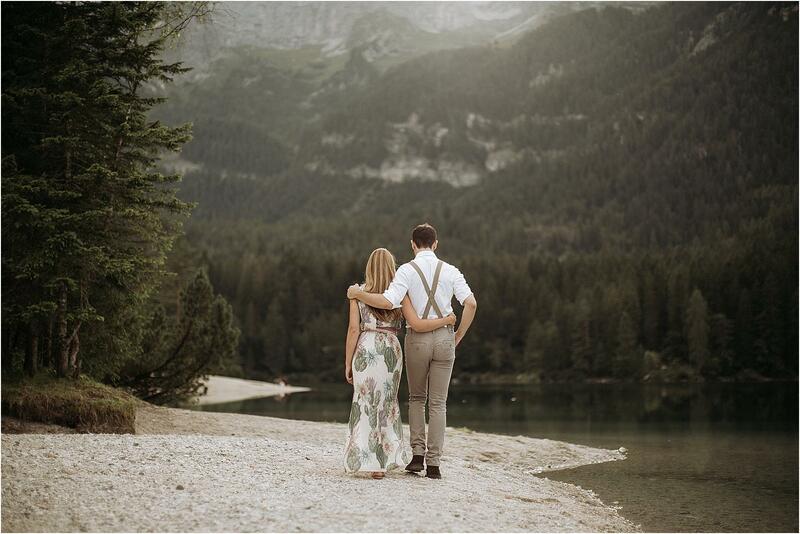 Trentino, in fact, has retained its own cultural traditions, typical of a border-land between Italy and Austria, and its mountains are dotted with ancient castles, which are ideal to host a wedding reception. 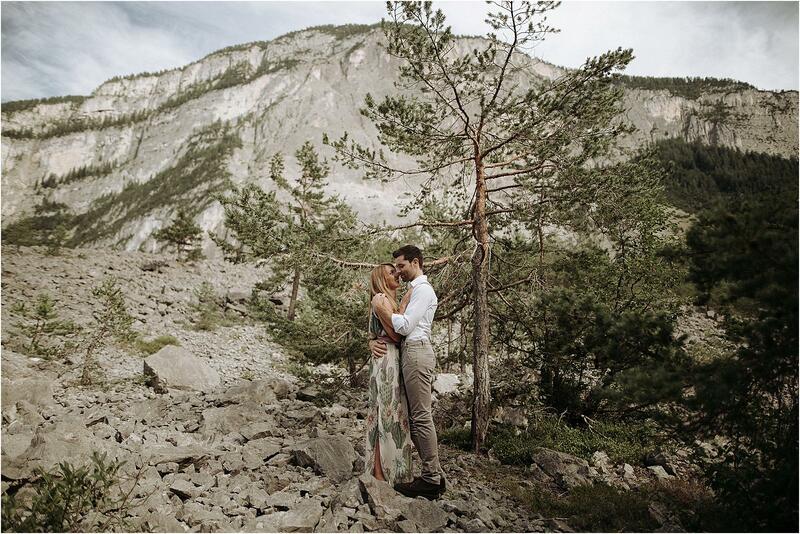 Thanks to Lorenzo and Michela who have relied on us for their photos… it was fun, for once, to photograph a photographer!